The first thing I did check that IPv6 was actually installed. The MikroTik was shipped with IPv6 installed, but disabled. To enable it, I went to the package manager, enabled the “ipv6″ package, and rebooted the router via “System->Reboot”. The next step is to tell the router that we want it to do Neighbor Discovery, that is, to advertise prefixes into the LAN. A click on “IPv6″, then “ND”, and “Add New” on thebridge-local interface does the trick. The default, “all”, was too wide for me. The defaults are generally OK, but I found I had to set “Reachable Time” to some reasonable non-zero value – say 300. If it’s left at the default, zero, then Stuff Doesn’t Work. There are two ways to do this – manually and dynamically. 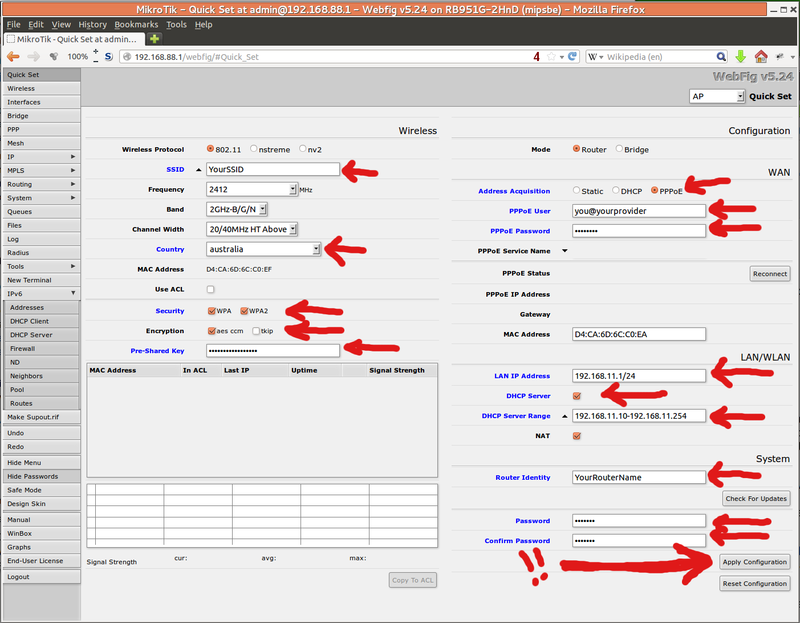 Both start the same way – in the web interface, select “IPv6″, then “Addresses” then “Add new”. To have the router select a prefix automatically, I could have put the pool name into the “From Pool” field and given “::1/64″ as the address. The subnet prefix would then have been the first available /64 prefix from the Internode /56. However, I wanted to do it manually. That was easy – just don’t specify a pool, and dospecify the desired address in full. This entry was posted in Article and tagged Internode, IPv6, Mikrotik, native IPv6, PPPoE. Bookmark the permalink. ← IPv6 – get to the church on time!